Still unsure about upgrading to EQ7? Senior editor Kathy Patterson writes a fun and informative review of her personal experience in jumping back into EQ. Kathy had dabbled in EQ5 and EQ6 but was left unenthused until she explored EQ7! Kathy says, “I was having fun, feeling confident, I was in love!” Pick up a copy of McCall’s Quilting Jan/Feb 2011 issue to read the full 3 page EQ7 exploration! Frosted Cupcakes in Quilters Newsletter! 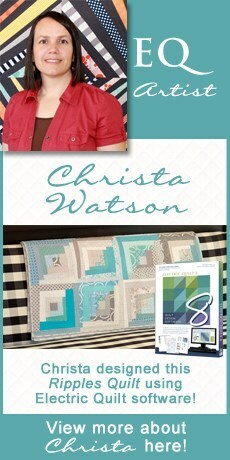 Have you seen the August/Sept issue of Quilters Newsletter yet? You’ll find an special project from EQ’s own Margaret Okuley. We restored a beautiful old quilt into a fresh new replica using EQ7. 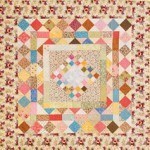 Pick up your copy of Quilters Newsletter today to get this pattern. Great job, Margaret! “She hasn’t made a quilt she’d like to show you, she quit teaching after only two years, and she would rather the spotlight be on others. Even so, Penny McMorris is one of today’s most recognized and respected quilting champions.” ~ Taken Frm Quilter’s Champion written by AQS. Click the link to visit the AQS site where they have provided a free downloadable PDF of this article. Enjoy!